Saregama's Yoodlee Films is working on a way that could change the conventional formula of producing Hindi movies. The company is India’s first major production house that's getting into a revenue-sharing deal with writers to ensure that the quality of content remains high. Yoodlee, which has decided to make movies for the age group of 18-35 years, believes that instead of getting big stars on board, it will get great writers by incentivising them. 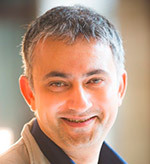 Speaking about Yoodlee films, Vikram Mehra, Managing Director at Saregama India, said that they want to explore uncharted content. “When it comes to films, we found out that the viewers within the age group of 35-40 are happy the way films are offered by the industry but the younger age group of 18-35 is pushing back. They don’t just want to enjoy escapist or superhero cinema, they also want to watch realistic cinema. So, we saw the clear demarcation between young and middle-aged audience. And this is where we see the opportunity, we want to create a story that is high on concept and not succumb to the mass cinema,” he said. With an increase in content consumption, several big and small production houses have emerged in the market. In order to distinguish from competition, Yoodlee Films is concentrating on creating script-driven films that are limited to a budget of Rs 4 to 5 crore. “We want to create cinema on very strong evocative topics but it should be entertaining and shouldn't be like a documentary. Unlike others, we shoot films at real-life locations and not on set. We want to make our brand positioning and so we are concentrating on story-led cinema and are avoiding larger-than-life cinema. We want to offer cinema where story is the hero. Hence, we have got on board actors who are either working on TV or doing theatre,” Mehra said. Since the production house is solely dedicated to story-driven cinema, it avoids casting popular actors as it believes they become bigger than the story. “We won't make any compromises with the story and invest money where it is necessary. But we will cut out all the other paraphernalia. The maximum dubbing allowed to the director is 10%, the rest all should be live sync,” Mehra said. In order to attract actors and interest of writers, Yoodlee Films has adopted a strategy of sharing 30% profit with their key artists. However, the distribution of this 30% is handled by the writer and director. “We control our story and line produce along with it, but the casting is completely done by the writer-director. Saregama has no say in that. We tell our writers and directors that they can have 30%; how and with whom to share that 30% is on them,” he said. The production house has a long process of selecting a script as it goes through multiple criteria. Primarily, the company looks for a script that is authentic, unique and sees how passionate the filmmaker is about the script. Mehra says that after music, video content is the big growth driver for the company. Saregama had conducted a study in 23 different cities of India primarily to understand the music consumption behaviour. Based on this study, the company decided to launch its portable digital player Caravan. While tracking music consumption, Saregama also found the increasing demand for video consumption and recognised it as a big growth driver. For the quarter that ended on December 31, 2018, Saregama’s operational revenues grew by 60% year-on-year to Rs 150 crore from Rs 93.7 crore in Q3FY18. The growth was driven by a 68% jump in the company’s music business revenues to Rs 138.5 crore from Rs 82.3 crore a year ago. While the major growth was driven by music, the company is yet to make any profits from its film business.